Cameron is the house brand of Henry's Cameras. It's a very lucrative part of the business and has been one of my passion projects since I accepted the role of art director at the company. 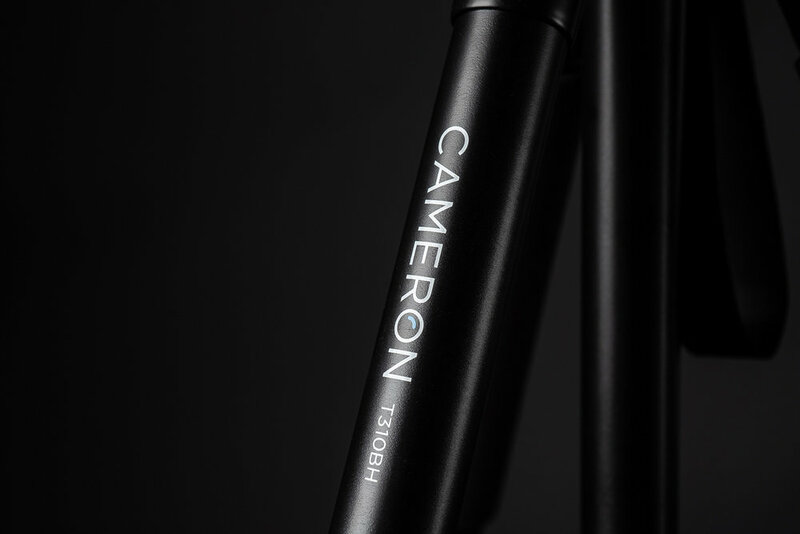 With very little budget, I rebranded Cameron from the ground up, based on its target demographic: young creators looking for more affordable, sleeker camera accessories. The brand was doing relatively well, but was in serious need of a makeover and some targeted marketing strategies. However, with no budget for a rebrand, I still moved forward with project and photographed all content from product packaging shots to lifestyle imagery. I lead the design team on recreating all of the package designs, and worked with manufacturers in China to ensure that the new designs were implemented and printed to our standards. Working closely with the merchandiser responsible for the Cameron products, I even got to weigh in on which products would get the Cameron moniker, and how new products for the line would be designed. 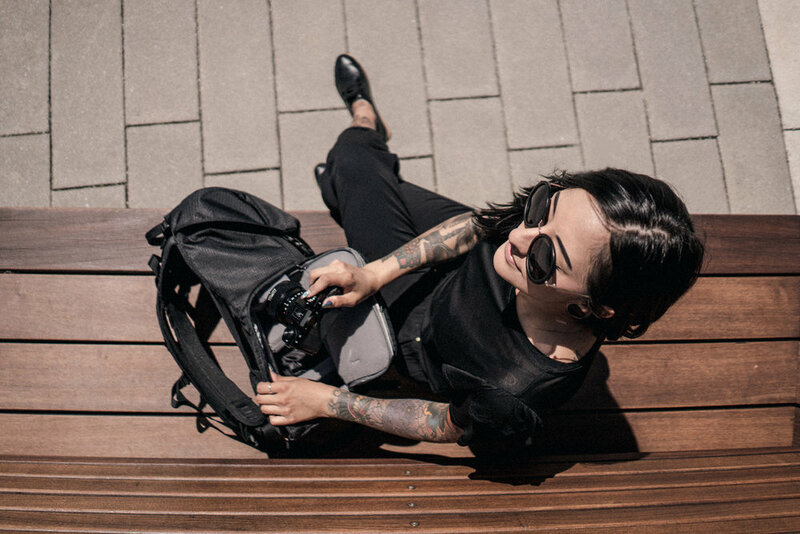 For example, with a product such as the Cameron Obsidian Series bags, or the Cameron Tripod Series, I was involved in all stages of the process, from the design of the product and packaging, to shooting the lifestyle photography, and building the advertising. As I said...passion project. One of the things I loved most about building the Cameron brand was photographing lifestyle images to be used in print and magazine ads and on product display pages online. When looking for inspiration for Cameron's lifestyle shoots, I found myself gravitating towards fashion lookbooks and magazines like Kinfolk. They tend to feature large imagery throughout with washed out palettes, crushed black tones, and authentic looking people. It was important to me to showcase real creators capturing environments they are familiar with. Any marketer will tell you that people these days cannot be fooled by common marketing ploys, so staying authentic was imperative in building the tone of the brand. Cameron's share of the Henry's business has grown significantly since rebranding the products and creating more targeted marketing campaigns. The products themselves continue to evolve as the buyers focus on quality of the finished product and curation of the categories that the brand occupies. I'm proud to have played a key role in growing Cameron into a successful in-house brand.